A tough tee for those rugged, unforgiving job sites, this Wrangler Riggs Men's Burgundy 3W700 BG Short Sleeve Pocket Tee Shirt is no ordinary work shirt. Made strong to stand up to the demands of a hard day's work, this functional burgundy top is sure to be you ... (see full details) (see specifications) #WRG3W700BG. A tough tee for those rugged, unforgiving job sites, this Wrangler Riggs Men's Burgundy 3W700 BG Short Sleeve Pocket Tee Shirt is no ordinary work shirt. Made strong to stand up to the demands of a hard day's work, this functional burgundy top is sure to be your new everyday favorite. It boasts taped side and neck seams for strength, and it's made from 7-ounce 100% ringspun cotton jersey for soft, comfortable wear. This classic design offers a relaxed-fit for plenty of room to move as you bend, stretch, and twist. Vented side seams and a tagless label add comfort, and a left chest pocket and hidden utility loop offer storage and convenience. For a versatile top that offers comfort plus a classic design, look no further. It works alone or layered and is perfect for both work and casual wear. This Wrangler Riggs Men's Burgundy 3W700 BG Short Sleeve Pocket Tee Shirt is available in a variety of colors right here at Working Person's Store. Stock up today! 118 out of 118 people found this product review helpful. 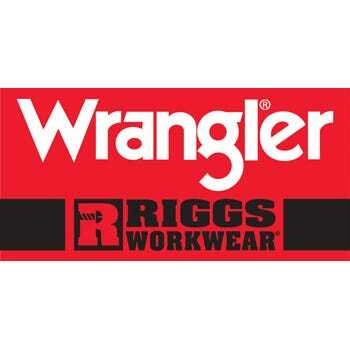 I have a lot of different Wrangler/Riggs brand clothing items and have never once been disappointed. I think that Wrangler products are very high quality, and this Burgundy Tee is No exception. I have this Burgundy Tee (and other colors too) and I Love it. This Tee is 100% Cotton, so it is very Soft and comfortable to wear. I've had this Tee for a couple of years and it still looks great. The Burgundy color is Nice and Bright and has not faded in color even after many washings. Very Nice quality Tee, and I plan to buy even more of these Wrangler brand Shirts! I have many Riggs Short Sleeve Tee shirts in a few different colors. Some I wear for work and as undershirts and others as sports garb. These are Best Of Breed T-Shirt. They are comfortable and look right...neat. The colors actually hold really well. No fading. The three things that make them my favorite include the neck - it never stretches out - never gives up its shape so it always looks neat. The second thing is the shirts long length - nice and long so I’m not battling the pull-out-of-my-pants routines. The third thing is the pocket with a smart inner pencil loop and leather pen clip patch. Smart! Wears better than all others. Wrangler Riggs Shirts: Men's Burgundy 3W700 BG Short Sleeve Pocket Tee Shirt is being added to your cart.